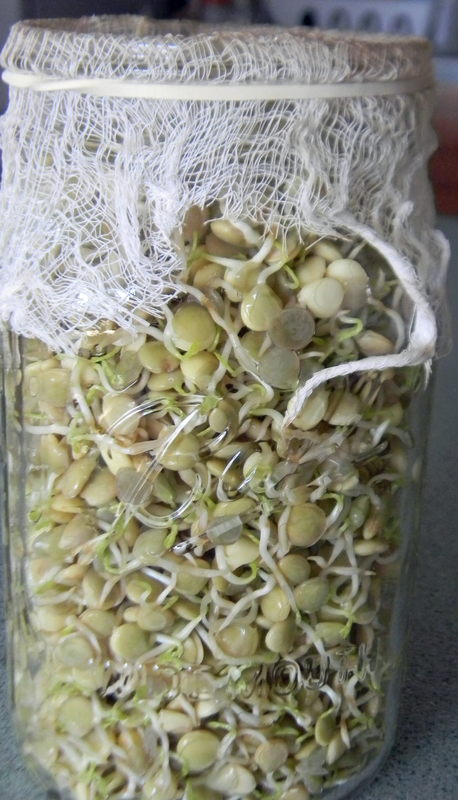 When a friend sent me the blog link from Honest Fair on growing your own sprouts I knew I would be trying this soon. That is when I finally remembered to buy lentils and then remembered to get cheese cloth. 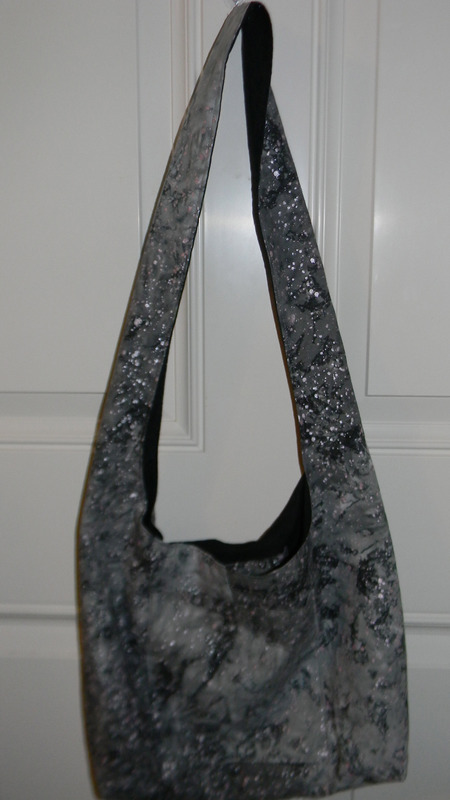 I looked at several sprouting jars but decided to try using a jar and cheese cloth first before investing. I also visited a few other websites to see what they had to say about sprouting lentils. One website said they taste like fresh peas. Fresh peas, I am on board with that one! Lentils help cleanse and stimulate the kidneys and adrenal system, strengthen the heart and circulation and increase energy and vitality. When lentils are sprouted, their nutrients become more easily digestible, and after just 3-4 days of sprouting, their soluble fiber, which helps lower LDL cholesterol, blood pressure, and blood sugar and regulate insulin levels, increases 300 percent! I looked up the nutritional values and for 1 cup of sprouts and you get 1% of vitamin A, 2% calcium, 21% vitamin C, and 14% iron of the daily recommendations. 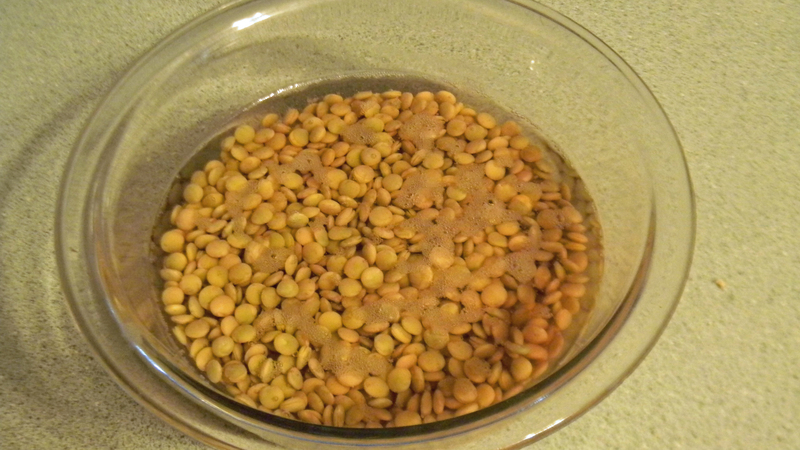 I started with 1/2 cup of dry lentils and soaked them over night. The next day they were already starting to sprout. I really had way too many lentils and will start with 1/4 cup next time. I rinsed them and placed them in a quart jar with cheese cloth and rubber band. I rinsed them 2-3 times a day with water. The most important part of this step (and why some use sprouting jars) is that I needed to get most of the water out after rinsing. When they first sprout this step is easy but, as they grow and fill the jar this gets harder. I turned the jar upside down into a 2 cup glass measuring cup and let it drain for about 10 minutes and this drained a lot of the water. If you leave the lentils too wet they can become slimy and start molding. 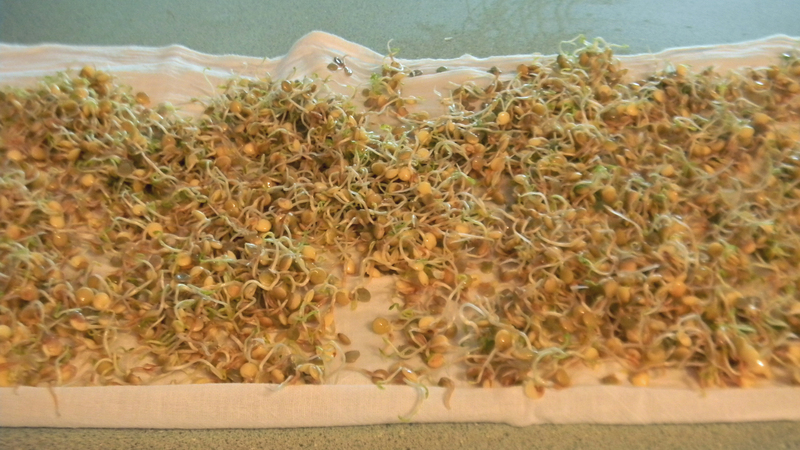 I kept rinsing my sprouts daily until leaves begin to appear. I took the spouts out of the jar (very hard because they were packed in) rinsed them again and then layed them on a towel to dry out some. I then put them into a container and popped them in the fridge. Most websites I looked at said they will last up to a week. Some websites say to put a damp paper towel on the bottom but I will try it without to see what results I get. 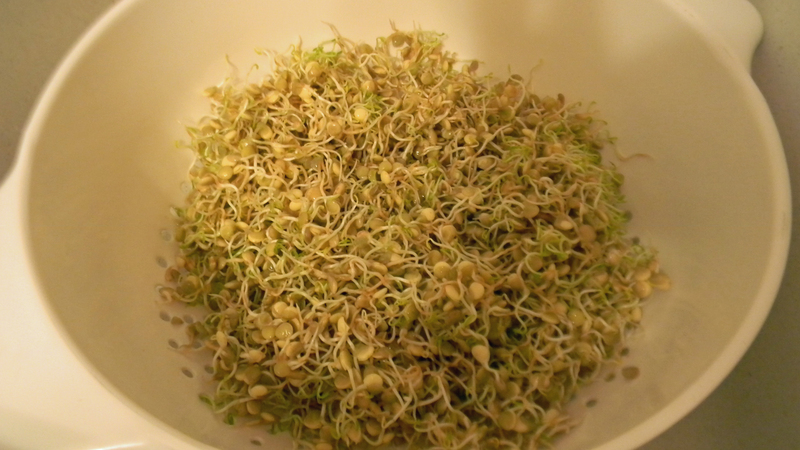 These sprouts can be used in salad, wraps and can even be cooked in a stir fry. 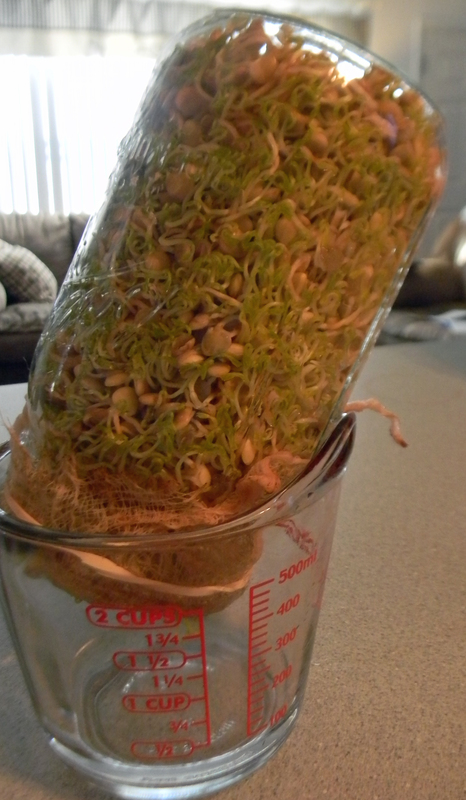 This entry was posted in Food and Drink, Posts and tagged Sprouting, sprouting lentils. Bookmark the permalink. My mom grew these all the time when we were little. We ate them like a bag of chips. Our favorite instead of jam, we would throw them on a peanut butter sandwich. So good! Yes they are good right out of the bowl!